First look at the Alpha job in action. 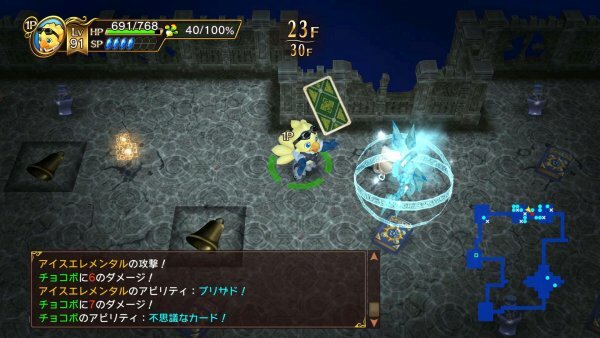 Square Enix debuted new footage of Chocobo’s Mystery Dungeon: Every Buddy! at Jump Festa 2019. The footage includes a look at the newly announced Alpha job from Final Fantasy XIV, including a battle against the “Skull Hammer” boss with buddy character Cid, and the new “Bend of Time” dungeon with a battle against the “Omega” boss. Chocobo’s Mystery Dungeon: Every Buddy! is due out for PlayStation 4 and Switch on March 20, 2019 in Japan. A North America and Europe release is also planned, but has yet to be dated. Watch the footage below, from 17:15 to 32:54 and 39:48 to 45:17.